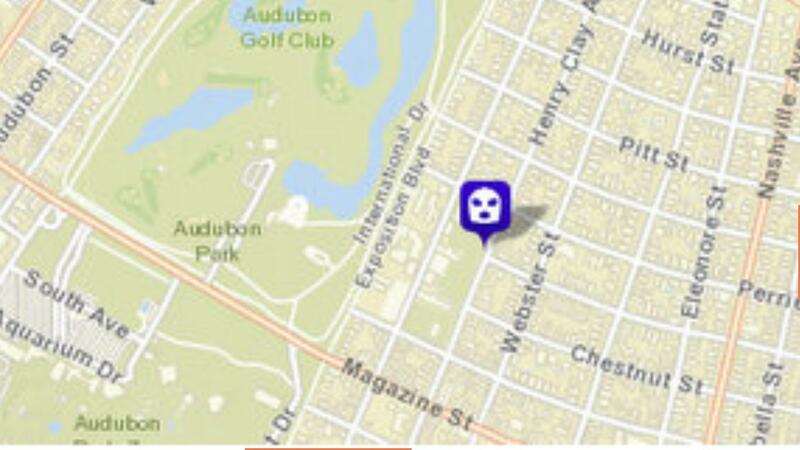 A man walked into the 13th Street store, pointed a gun at the clerk and demanded money. 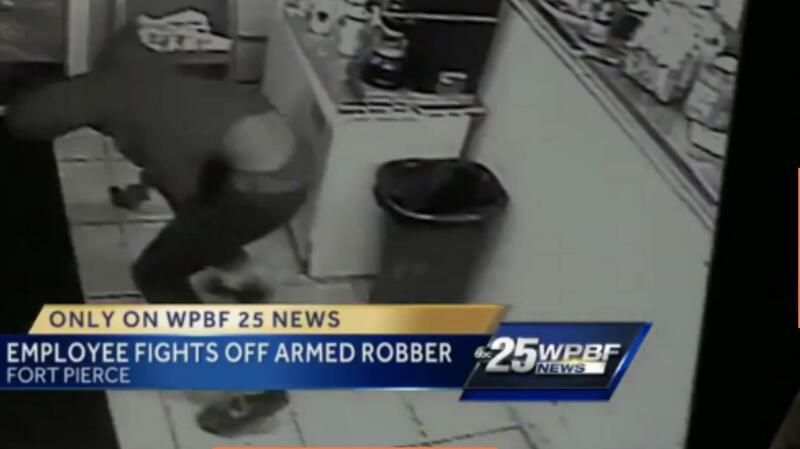 The clerk was secretly aiming a gun at the would-be robber from underneath the counter. 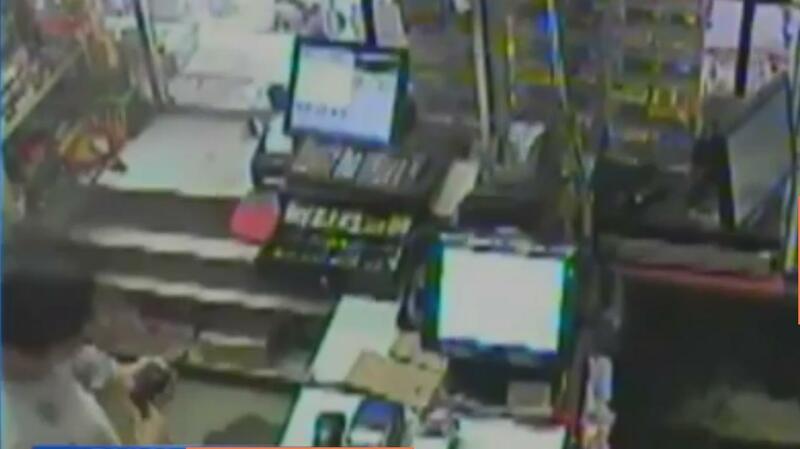 Not only is the robber unable to see the clerk's hands, he gets distracted and looks away from the clerk. This is a good way to get shot, but robbers are in a no win situation. This one has no one to watch his back for him. He turns back to the clerk, who fires his hidden pistol from under the counter. It misses the robber by a few inches. The robber's luck holds. A large hole is torn out of the counter. You can see it a few inches to the right of the robber's hip. In the video, you can see it appear. It is about 1x3 inches. 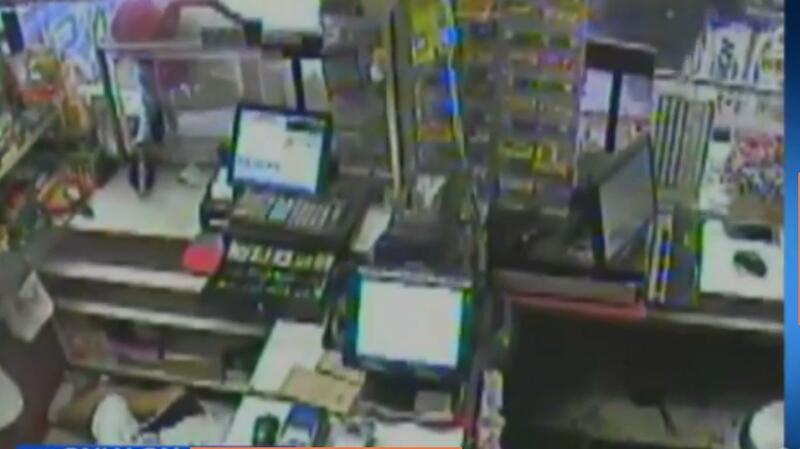 The robber slips on the floor, likely taking him out of the clerk's line of fire. Another lucky slip-up. 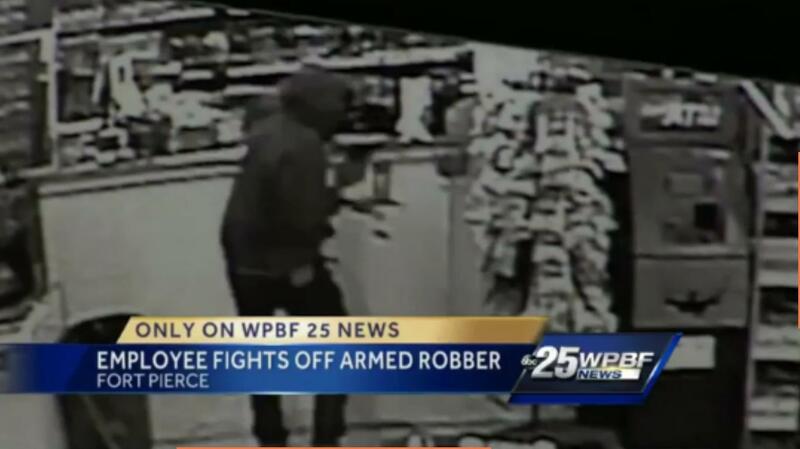 The robber manages to get out of the store without getting shot, but he decides to push his luck. He comes back in order to point his gun at the man who just shot at him. He does not shoot, merely points the pistol. It is not clear if the gun he has is able to fire. He gets shot at again for his efforts. His luck holds. He is not hit. This time, he runs out the store, down the street, and away, intact, apparently without any bullet holes. He should consider another career. He has used up all his luck as a criminal. The store he tried to rob is appropriately named. The robber did not do his homework. He likely never got into the habit. If he had, he would have known that in a previous gunfight several months before, another robbery suspect was arrested. It was the same clerk. As illustrated in this story, it is very hard to hit your target when you cannot see the firearm. There is no way to visually index the gun on the target. Most point shooting systems actually rely on a visual index, they just do not focus on the sights. Body index systems only work if the body is in the same orientation and distance from the target for each shot. They can work, but they take a lot of practice. I believe that amount of effort would be better spent on tactics and different positional shooting techniques, but each person can make their own judgement on the issue. Consider that the clerk was able to miss his target from what appears to be about 3 feet distance. 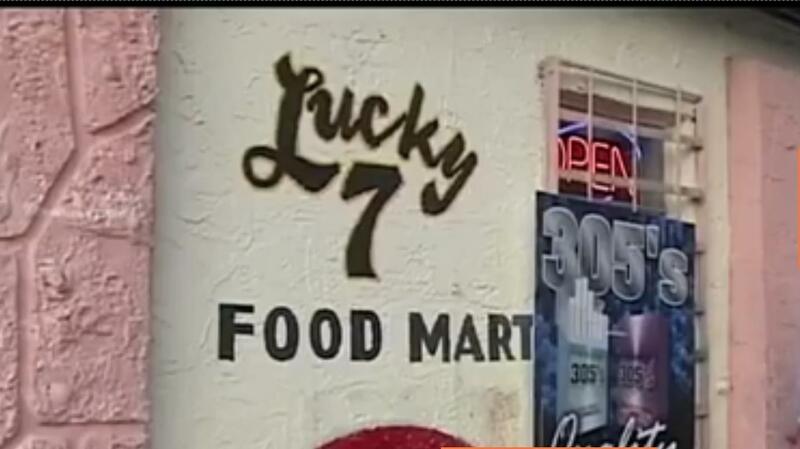 All robbery suspects are not as lucky as this one. Many are shot, many die. As Americans have become more armed, the crime rate has fallen. It is hard to prove causality, but the more criminals learn that they are likely to be shot, the more they are likely to consider other options. Let us hope that this budding young criminal considers honest work. It is a long shot, but it could happen. In court documents, police say they responded to a shooting just before 3:00am in 600 block of N. Notre Dame Avenue. When they arrived, police say they found Walker lying seriously wounded in a driveway, and Michael Pilcher suffering from a head wound inside a home. Both were transported to a nearby hospital. South Bend Police say shortly after their arrived, Ryan Gallup approached them and confirmed that he had shot and wounded Walker. Gallup said he drew a gun and fired after Walker, Words and Golliday drew guns and attempted to rob Gallup and Pilcher inside their residence. Later that night the business owner, who lives near buy his business, again returned to his business to respond to another burglary alarm. The owner says that when he arrived he was confronted by two individuals who entered a vehicle and then drove towards him striking him and the building. The owner says at that particular time he looked into the vehicle and saw the driver produce a handgun and point it at him at which time he produced his own gun and fired several times in response. The vehicle then fled away and was found on a nearby street moments late. At that scene deputies discovered Ladarius Walker (19) deceased in vehicle. Another suspect was located standing near the vehicle Lamar Brooks (17) suffering from one gunshot wound. Both suspects were from New Iberia. NORTH FAIRMOUNT, Ohio (WKRC) -- Police believe a weekend shooting was self-defense and don't plan to file charges. The pastor, Howell, was going to fire Parangan, the maintenance man. The maintenance man pulled out a gun and tried to kill the pastor, the pastor drew his own gun and shot the maintenance man. Witnesses said Pastor Terry Howell was meeting with Parangan to fire him. He pulled out a gun and shot at Howell multiple times. Howell wasn't hurt, but he shot back with his own gun, hitting Parangan, detectives said. Parangan was taken to Osceola Regional Medical Center, where he remains in stable condition. He will be taken to jail when he is released from the hospital and charged with aggravated assault with intent to kill, a spokesperson for the Sheriff's Office says. Howell's involvement is being investigated as self-defense. A year ago this New Year’s Eve, John Filippidis of Florida was driving south with his family on Interstate 95 when the Maryland Transportation Authority Police pulled over his black Ford Expedition and proceeded to raid it while his twins, wife and daughter looked on — separated in the back seats of different police cruisers. That customer also said he has a permit to carry and was armed with a Glock 22. 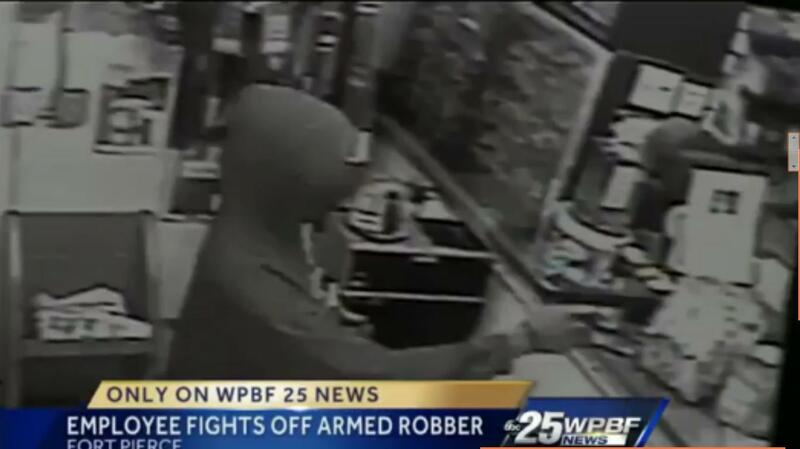 He said another reason he went behind the shelf is in case he had to fire on the robber. The customer said after the gunman ran outside and yelled for him to stop. The witness told police he heard the suspect fire a shot in his direction so he returned fire. Mr. Murphy, who is a person of Northern Marianas Descent, simply filed a complaint in court, which is his right. That is not easy for a non-lawyer to do. This is a public document, and the press is free to quote from it. 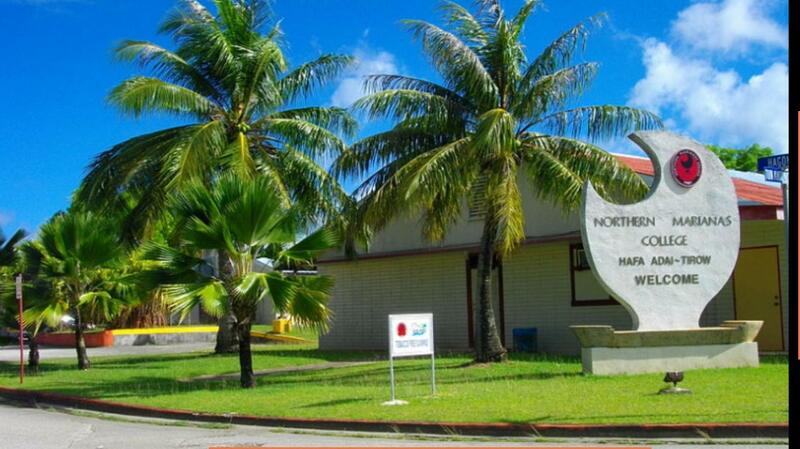 District Court for the Northern Mariana Islands Chief Judge Ramona V. Manglona will preside over a hearing on the motion for summary judgment on March 5, 2015. Anticipating an unfavorable ruling from the federal court, Deleon Guerrero and Zarones have asked the Legislature to act “swiftly and without hesitation” to pass an alternative gun control law that is currently pending in the Senate. Not surprisingly, the anti-second amendment comments are full of personal attacks and misinformation. It is what happens when the facts and the law are not on your side. Some of the families who survived the horror of the Newtown shooting are suing Bushmaster, the manufacturer of the AR-15 rifle that was used by the deranged gunman who murdered 20 children and six adults at Sandy Hook Elementary School. The complaint actually reads more like an attempt at healing than a serious legal claim. To that extent, I am sympathetic. But the strictly legal issues and theory of recovery to be gleaned from it deserve comment. This is in the class of claims that are barred by a 2005 law, the Protection of Lawful Commerce in Arms Act (PLCAA). Congress passed the PLCAA in response to several years’ worth of creative municipal lawsuits against the gun industry. Former Pennsylvania Governor Ed Rendell explained in a speech to the American Bar Association that the litigation was designed to avoid consolidation and stretch the ability of gun makers to pay for legal defense in dozens of jurisdictions at once. ID: Homeowner runs out of Ammo using "Warning Shots"
"A voice yelled at me 'please don't shoot me' and came running at me, and I grabbed my pistol," Bryson said. The man bumped into him, knocking him back, he said. That's when Bryson fired two shots into the floor. "I thought, I'll kill him if I have to, because I'm not going to get killed, and I'm not going to get knocked out either," he said. "But the gunshot scared him enough, apparently it scared him enough that he fell down thinking maybe I shot him. I thought I had hit him, the way he hit the ground, but he was just playing possum." Unfortunately, Bart had left his cell phone at home. Bryson works as a security officer. He had handcuffs in is his car. He decided to cuff the suspect and take him to police headquarters. The suspect asked him: would you shoot someone over a burglary? But as he was searching for the cuffs under the seat, however, the man bolted, Bryson said. Bryson began shooting again, firing several shots into the ground. He says he did not want to kill anyone over a burglary. Bart was right in not shooting at the suspect, clearly, as he ran off, the suspect was not a threat. Sometimes, "warning shots" stop a fleeing suspect, but sometimes, they just run faster. The gun shots alerted the neighbors to call the police, so they had some positive effect. The interesting thing is that with all the "warning shots", Bart ran out of ammo! While everything worked out without anyone getting killed or injured, this reinforces the axiom that you can never have too much ammunition; and that warning shots use a potentially precious resource. In addition to spare ammunition, Bart will likely be more careful to bring his cell phone with him in the future. The military has a saying: you have to be able to move, shoot, and communicate. By the end of this encounter, Bart only had one of those necessities. One man is dead and another is on the run after an attempted home invasion Sunday night on the city's east side. It happened in an apartment in the 3300 block of East 10th Street near Brookside Middle School. Police say the two men tried to enter one of the units. That's when the boyfriend of the woman living in that apartment pulled out a gun and fired, killing one of the suspects. 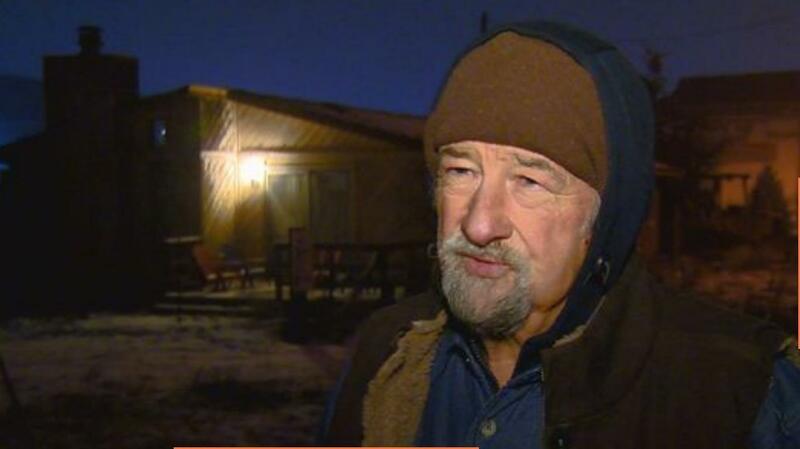 Investigators said the 74-year-old victim was beaten with an ax handle before he opened fire. Investigators said Graseck and West disabled the victim’s power, knocked on the door and hid near the man’s residence. When the victim walked outside to see what may have happened, at least one of the men attacked him, the police report said. Officers said that’s when the homeowner fired several shots at the pair, striking West several times. Police said Graseck ran to a neighbor’s house and asked the resident to call 911. 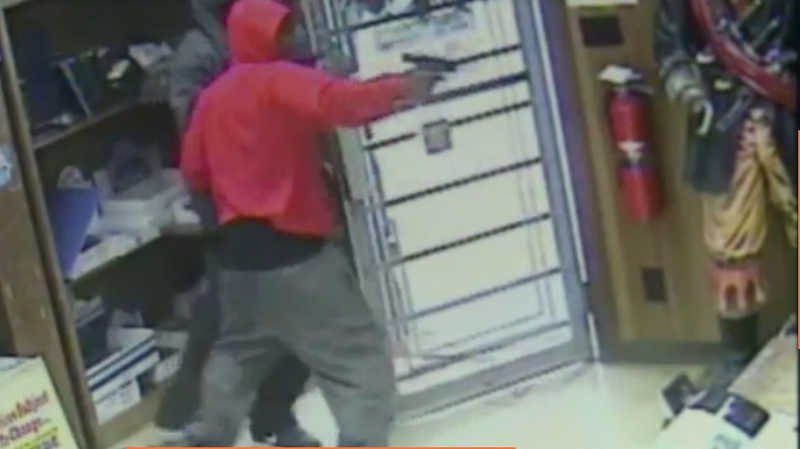 This video of an attempted armed robbery in Houston, Texas, illustrates the fact that most armed robbers are reluctant to shoot, and reluctant to kill their victims. I am not saying that they have high moral standards. I am saying that robbers respond to incentives; they know that a killing of an innocent brings down unwanted attention; and a shooting brings quicker response and often, greater investigation. Here you can see the wife in the lower left of the picture with a black revolver in her hands. If appears that she could use some basic firearms training. Perhaps a local instructor could donate a few hours. The first few hours are the most productive. She was likely reluctant to shoot as well. The store was robbed of $10,000 a year ago. 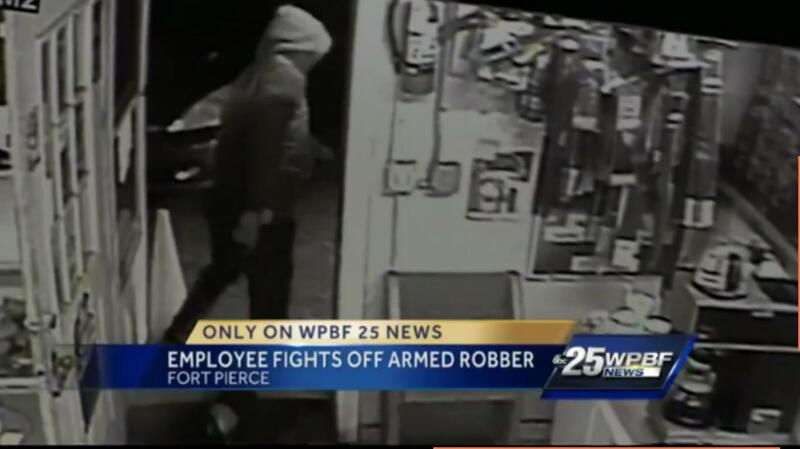 The first robber may have been armed with an unloaded, inoperative or fake gun. It is common to see these used in robberies. As long as a reasonable level of enforcement in the criminal justice system exists, criminals have incentives to avoid shooting and killing innocents. This gives the armed victim an advantage that is often put to good use. Even a small amount of training can bet make a large difference. Most criminals are not interested in discipline, patience, and practice. Certainly, all armed robbers are dangerous; there are some that plan on killing their victims, no matter what. But most of them envision a quick reward for little effort, and have no backup plan when things go bad. That gives an edge to the armed innocent; that is the what the system was designed to do. Suarez Medero then tried to get to the woman by breaking through the sliding-glass door and entering the apartment, said investigators. He then took the woman's dog and jumped out a second-floor window, police said. He tried to break into another apartment on the first floor, officials said. Suarez Medero then attacked two residents in the apartment, said police. A struggle ensued and a resident inside the apartment pulled out a gun and opened fire, striking the suspect twice, said Harran. The ubiquity of inexpensive and capable video and audio recording devises is changing the legal and political landscape for everyone, but especially for police, criminals, and armed Americans. The open carry movement learned early on that recording of an incident removed the he said/she said ambiguity that is often found to be in a police officer's favor. There have been many cases where the interaction was recorded and a settlement was paid to the person exercising their rights. 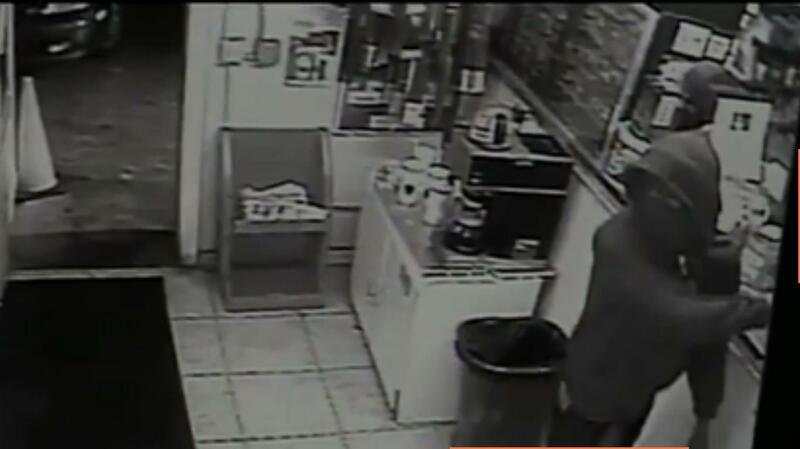 Many defensive actions by armed Americans have been caught on surveillance cameras and have gone viral on the Internet. 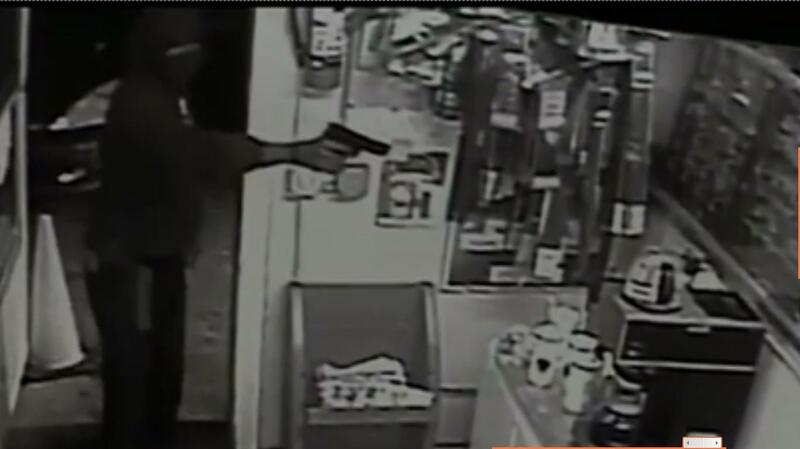 Recent gun store robbery and gunfight caught on video. The CMLP is thrilled to report that in the case of Glik v. Cunniffe, which the CMLP has blogged previously and in which the CMLP attempted to file an amicus brief, the U.S. Court of Appeals for the First Circuit has issued a resounding and unanimous opinion in support of the First Amendment right to record the actions of police in public. Writing for the 7th Circuit majority, Judge Diane Sykes said Alvarez staked out an "extreme position" in arguing that openly recording what police say on the job on streets, sidewalks, plazas and parks deserved no First Amendment protection. Judge Richard Posner dissented, saying the ruling "casts a shadow" over electronic privacy statutes nationwide that require consent of at least one party to record many conversations. In the map shown above, the laws are generally crafted as "wiretap" laws designed to restrict the recording of telephone conversations. That is far different than recording public interactions, in which there is little expectation of privacy. I am unaware of any other appeals court cases that address the issue. As nearly half of the people in the small number of states with restrictive laws reside in the Ninth Circuit, and with California having one of the most restrictive laws, a challenge of the California law and to the Ninth Circuit seems likely at some point. A retired state patrol officer has told me that he expects that all police will record all of their time on duty within 10 years. President Obama has pushed for certain police agencies to require the use of body cameras while on duty. For armed Americans, a recorder has become as much of a tool for defending Constitutional rights as a firearm. There may come a time when the first question a prosecutor asks is "Where is the recording?". WV: Stepson Wounds Stepfather in Self-Defense? Deputies say the victim was shot by his stepson while the two were engaged in a fight. According to family members the stepfather was under the influence of medication and the shot was fired in self defense. The bullet only grazed the victim’s head. The Washington County coroner says a homeowner fatally shot 37-year-old Emanuel Ladson after he broke into the house through a window early Saturday. Coroner Tim Warco says the California Borough homeowner confronted Ladson in the kitchen and fired once, hitting him in the chest. 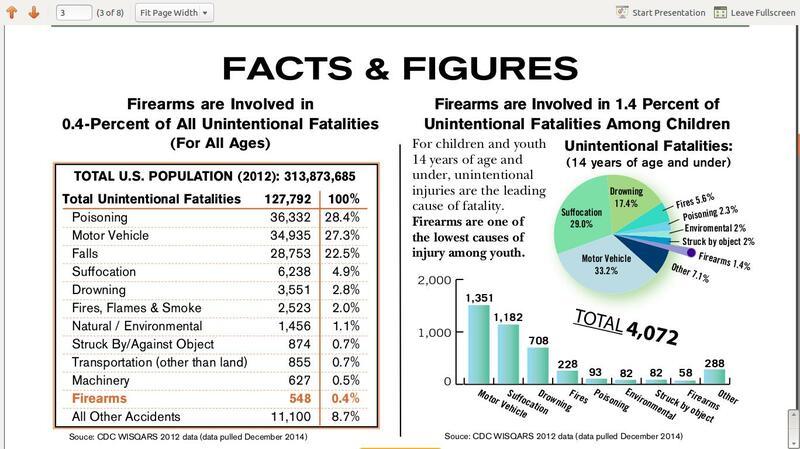 The graphic is from the National Shooting Sports Foundation. 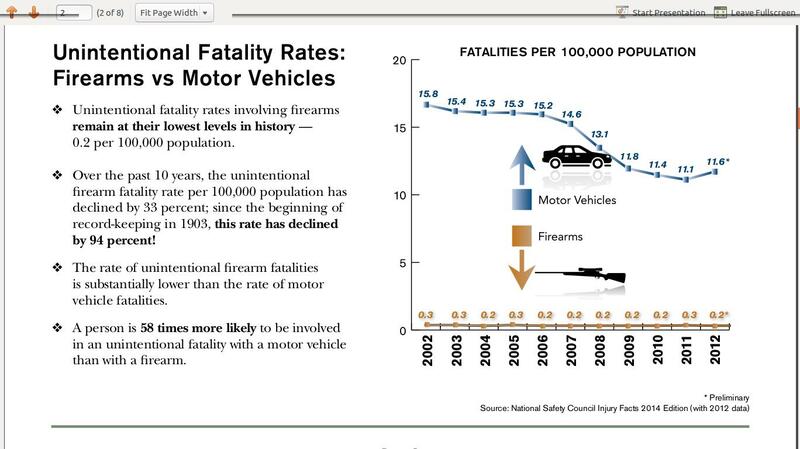 Accidental firearm fatalities are at an all time low in the United States. The pure numbers do not give the best comparison. You need to look at the rates, or accidental firearm fatalities per 100,000 population to see the stunning reduction in the last century. The accidental fatal firearm rate has dropped by 94% since we started keeping statistics, even though the total number of firearms per capita has likely at least doubled. That number is harder to pin down, but firearms have become more affordable with the industrial revolution, mass manufacturing, and with tens of millions of surplus firearms being made available after world wars one and two. The Montana Shooting Sports Association has published its legislative goals for the coming year. They are worth looking at because they show the long term view and commitment that exemplify many of the state level organizations. Here is a link to the facebook page that has the goals listed: MSSA Legislative goals. These are bills that MSSA has been pushing/refining for some time. The links with each item lead to a bill that was in the 2013 legislature. The bills will likely change a little in 2015, but the substance will be the same. MSSA has given me permission to include the list in this article. I do not see other states encouraging this approach, but it seems a natural for Texas. Several other states are moving forward on this idea. It is well established that the federal government cannot force the states to do its bidding in these situations. A number of other states have already passed similar legislation. An incremental improvement of the concealed weapon permit system. Several states have allowed various versions of campus carry. It does not make sense to allow students to carry off of campus, but not on campus. There is no "campus exception" to the bill of rights. Another way to roll back the federal encroachment on law enforcement matters. Law enforcement used to be almost entirely up to the states; now numerous federal laws directly impact citizens in the daily lives. There are now 31 states that allow the use of gun mufflers while hunting game animals. This measure is really about safety and preventing hearing loss. A number of states are considering constitutional carry. 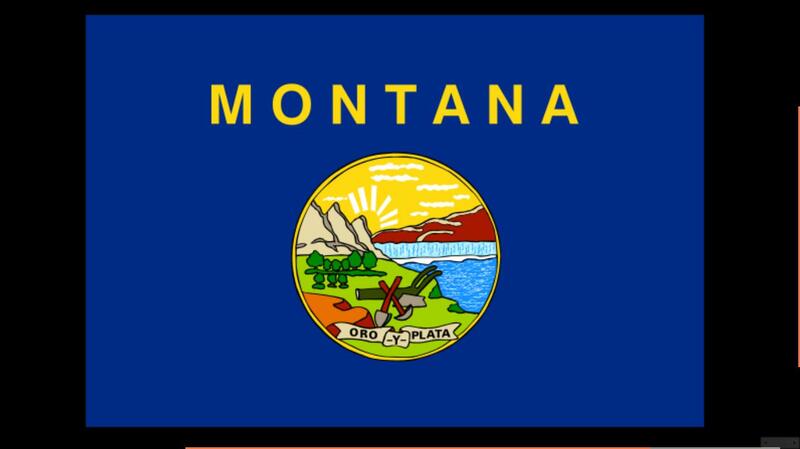 Montana has it for over 99% of the state. The proliferation of "Gun Free School Zones" and zero tolerance policies has been a national disaster. All federal gun and school laws should be repealed; this is a good start at the state level. The major purpose of the gun bans in schools appears to be the indoctrination of children that guns are bad and should not be allowed. There is a tradition in many states to exempt a level of personal arms from bankruptcy claims. Home Guard legislation is a natural match with restoring second amendment rights. Shooting range creation and development should be encouraged in all states. It is very difficult for some shooters to find a place to shoot. Shooting prowess contributes to the national defense from all enemies, foreign and domestic. Government encouragement of these skills is justified. Brian Anse Patrick explained how the proliferation of local and state organizations have created a "horizontal" network of communication that overcomes the "top down" old media system. The ideas circulate, are improved, and legislated into action by the gun culture. His book, Rise of the Anti-media, is well worth reading. The source who sent me this picture called it "Gun Culture Day Care". There is at least one other child that is not caught in the frame. 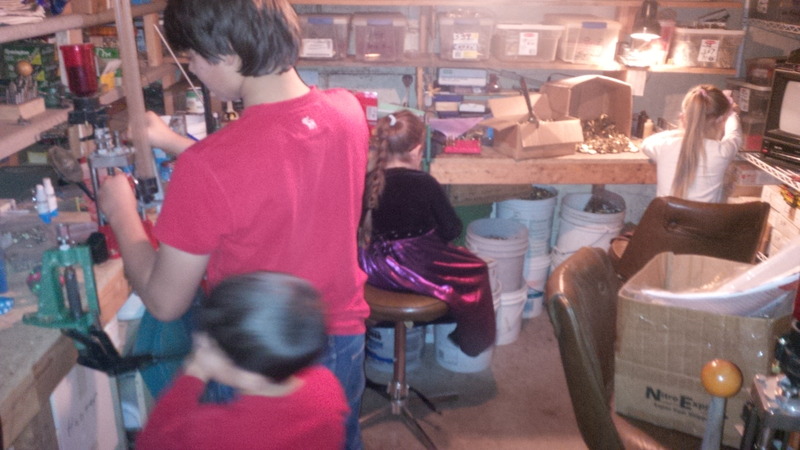 The younger children are depriming brass, a fairly safe activity if the hands are washed after the reloading session. The children are taught responsibility and gain a sense of actually doing something productive. This sort of activity was found everywhere in the world until fairly modern times. It was only in the last hundred years that the most productive societies on earth were able ignore the productive capacity of children. Nearly all societies teach responsibility and help children gain a sense of accomplishment by having them help in gainful household employment of some kind. The children in the picture were given a choice: help reload, or watch a movie. It says much about modern American society that a productive activity is considered so novel as to be preferred to purely passive movie watching. Considerable benefit is gained when children engage in productive activities. They learn that a price must be paid for the production of useful items, in time or money; they appreciate "things" more, and are less likely to destroy items merely to destroy them. I suspect that vandals tend to have little conception of the amount of work necessary to create items of value. Requiring children to do simple chores such as cleaning their room, helping with dishes, taking care of a pet, all work to teach the child that existence is not a free activity. Lack of these sort of activities handicaps children by not developing their sense of responsibility and accomplishment. It is part of a complete education that parents and societies ignore at the peril of the young minds that are entrusted to their care. A motorist who said he saw a man in another car beating a woman forced the man out of the car at gunpoint Friday and held him until officers arrived, Southlake police reported. The Tarrant County district attorney's office was consulted to determine if the man with the gun had violated a law. Based on the preliminary investigation, Mylett said, the DA’s office said no violation was apparent. The investigation is continuing. Some GI wanted to keep his sweetheart picture close at hand. I have seen pictures enclosed in Lucite grips before. The uniform appears to be an Army officer's winter service uniform from early in the war. The Sam Browne belt and shoulder strap were replaced early in 1942. Of course, existing uniforms were often used for quite some time after they were superseded. If you look closely at the frame, just below the slide, you can make out the UNITED STATES PROPERTY stamp. 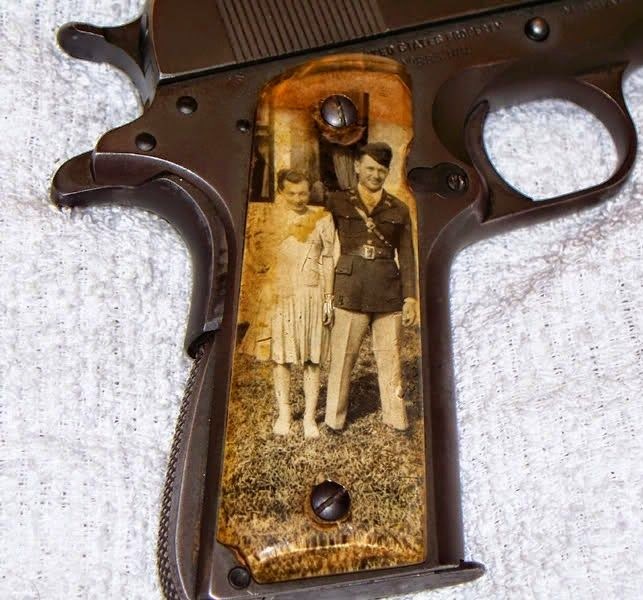 Large numbers of soldiers, sailors, airmen and marines kept their .45 service pistols after the war, believing that they had earned them. I cannot make out the rank of the officer in the picture. Perhaps an alert reader can puzzle it out. So holds State v. Hull (Wash. Ct. App. Dec. 17, 2014) (nonprecedential), in an interesting and pretty detailed opinion. Generally speaking, courts rarely have to decide whether there is a constitutional right to self-defense, since all states generally recognize a statutory or common-law right to use force against another person in self-defense. And while there are constraints on this right — e.g., you can’t use deadly force against a relatively minor attack, some states bar deadly force when there is a completely safe avenue of retreat available, and so on — a constitutional right to self-defense is unlikely to be absolute. Traditionally accepted limitations on self-defense are likely to be seen as limiting any such constitutional right as well. But sometimes self-defense law contains substantial gaps (perhaps unintended by the legislature). One such gap is that many state penal codes — including, apparently, in Washington — expressly provide for self-defense only against people and not against animals. And in State v. Hull, the prosecution actually argued that “Self-defense is a defense to the use of force against a person, not an animal,” so Hull “was not entitled to a self-defense instruction.” “The language of the Washington Pattern Instruction 17.02,” the prosecution argued, “is … clearly limited to lawful ‘force upon or toward the person of another.’ Simply put, a dog is not a ‘person’ as contemplated by either the statute or the pattern instruction,” so when someone is tried for injuring a dog, the jury isn’t supposed to consider whether he acted in self-defense. Shortly after 10:55pm, on 12/24/2014, a 22-year-old female walked out of Walgreens and was planning on getting into the car where her 25-year-old boyfriend was waiting in the parking lot. She was shocked that a male subject, later identified as Quincy Thompson, was hovering around their car, and pointing an object at her boyfriend that looked like a gun. The object, with laser displayed, was fixated on her boyfriend until Thompson was aware she was within 10-15 feet of the vehicle. Quincy then turned the gun/laser on the female, and this allowed for her boyfriend to access his weapon; with both male subjects now being confronted with a dire situation. Quincy allegedly yells, "Go ahead and shoot me, I'm not afraid of you, I'm from the south side of Chicago and I'm not afraid of white people!" When Quincy was made aware he was being arrested, he punched the interior protective windows, and he kicked the door of the squad with so much force that it was noted to have separated approximately 1-2 inches from the structural frame! Quincy threatened to spit in the face of an officer, talked about blowing up the City of Madison, and even stated he "Kills cops"; going so far to talk about getting a tattoo for having done so. 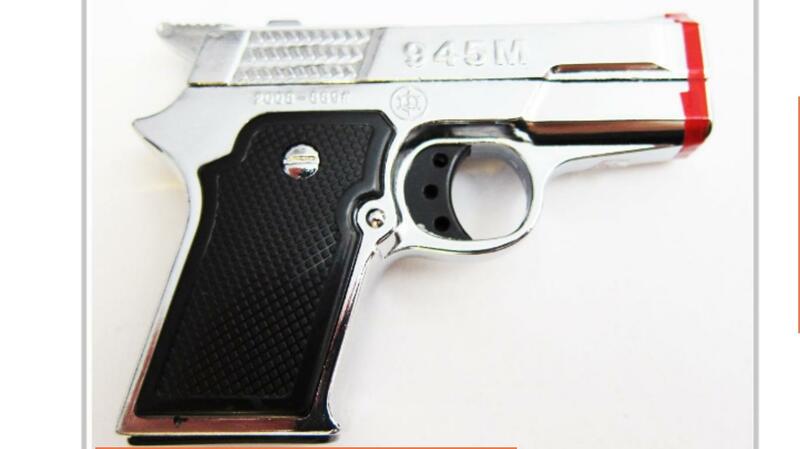 This item looked like a functional 4 ½ inch chrome plated firearm, named, "Ji Guan Deng", and prompted a reasonable response from the male victim. It is worth noting that the police did not charge the armed citizen with brandishing, disorderly conduct, threatening, or any other crimes. They clearly understand that he acted reasonably. They did not claim that he could not have believed himself and his girlfriend to be threatened, because he did not shoot. Police attitudes toward peaceful armed citizens have been improving for decades. Quincy R. Thompson is lucky that the armed citizen from Tennessee showed such restraint. Many highly trained individuals would not have done so. Quincy faces numerous charges. He is 19 years old. 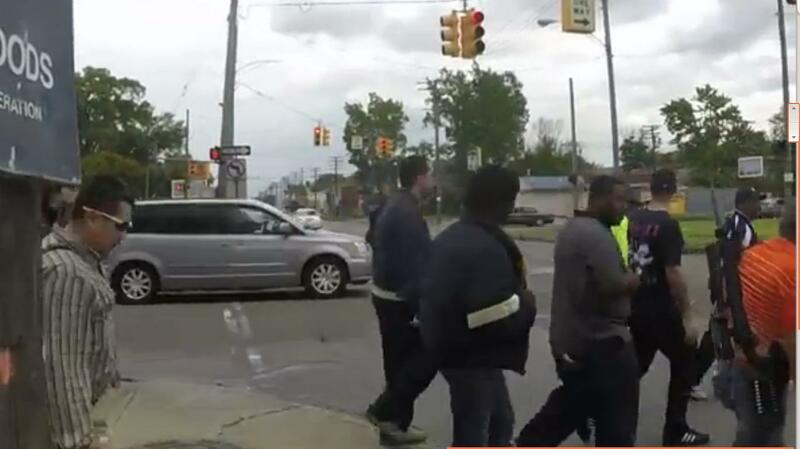 Are Legally Armed Black Men being Targeted in Detroit? Are black people who legally carry guns discriminated against? There is anecdotal evidence to indicate that it happens, particularly in crime-ridden urban centers. Students and retired police friends and acquaintances have told me that when guns were found in the possession of black men, in most urban centers, three or more decades ago, the guns were confiscated, legal or not. That was before the concealed carry revolution, when only a few states issued concealed carry permits, and they were often issued only at the discretion of the police chief. Many of the gun control laws were designed specifically to disarm black men. In 1967, the Black Panthers launched a bit of lawfare that brought about a ban on the open carry of loaded guns in California. It is hard to believe that the change in law was not what the Panthers intended, though they claimed to support the right to bear arms. Remember, the Panthers openly supported armed revolution in the United States. The day the gun control bill was before the legislature, the Panthers showed up at the capitol, carrying their guns in a threatening manner, unlike the open carry protests of today. The summer of 1967 was the year of race riots in much of the nation. The panthers' demonstrations resulted in the ban on the open carry of loaded guns that was signed by Ronald Reagan. This has been twisted by the left to claim that the Panthers initiated the gun rights movement in the United States. Nothing could be further from the truth. California had always been less than supportive of the second amendment. California does not have a right to keep and bear arms clause in its constitution, because the state government wanted to be able to disarm Mexicans and Chinese. California concealed carry law was originally passed in 1923, with the intention of making sure that minorities were disarmed. While no one would publicly say so, it was the Panther's violent image that provided their real attraction to the New Left. Blacks would seek liberation, Malcolm said, though the "ballot or the bullet," but no radical believed that the System could be changed by peaceful means." Because leftist "revolutionaries" embrace deception as part of their tactics, the fact that some Panthers claimed to support the second amendment is inconclusive. The gun culture is intimately familiar with politicians who say "we support the second amendment" during elections. It is clear that the left supported restrictive gun legislation. It was only a year later that the United States Congress, at the urging of Lyndon Johnson, passed the most restrictive federal gun legislation up to that time, the federal gun control act of 1968. More gun laws did provoke a backlash, but not against black people. The backlash was against the increasingly restrictive gun laws. The gun culture organized and developed means of communication outside of the dominant media. It fought back against the restrictions as the old media pushed for more and more. The gun culture fought for the right to bear arms for all citizens, regardless of color. Otis McDonald is a hero of the modern gun culture for his advocacy of the second amendment in McDonald v Chicago. The Black tradition of Arms is covered extensively in a 379 page book that was published this year. It shows that black peoples' use of arms, and the attempts to disarm them, have an extensive history. What is disturbing is that the officers who arrested Elijah told him to "stop educating dumb niggers" about their rights to open carry in the squad car after the arrest. They also told him that they get a $100 bonus each time the arrest a man with a gun in their precinct. Elijah is a black man, and the police officers involved are said to be black men as well. Elijah's attorney has requested the video, but it has not been released to the public. Donations to his legal defense can be made at www.michigancarries.org. One victim, a black male named Jernoie Stanford, describes a story that is disturbingly similar to Elijah Woody's. According to Stanford's testimony, the police saw that he was open carrying, and arrested him for a curfew ticket. His gun was seized by the police, which has still not been returned to him. The Detroit Police told him under the phone that they are still holding his legally-possessed and legally-purchased handgun, "pending further investigation." They want to check the gun to make sure that it does not have a violent past, even though it was purchased new and Stanford kept it on him. He has yet to be charged with a gun-related crime. He does not have any upcoming court dates, either. Another black male, Anthony Murray, describes a nearly identical arrest with his open-carried gun being taken, being charged with carrying a concealed weapon, and getting the run-around when trying to get the gun back, even though he had all the paperwork for the gun on him when he was arrested. Another victim, Anthony Collins, told a story similar to Murray's that occurred two years ago. Detroit police have been accused of harassing gun owners at a gun turn in event in 2010, so the possibility exists that being black and carrying a gun is a doubly attractive combination for police there. While not in Detroit, the case of Jason Smith in Battle Creek, Michigan appears suspicious. I have not determined if Smith is black. Perhaps a reader can determine if he is. Smith plead to a "resisting a police officer" misdemeanor after four days in jail, when the police could not find a gun crime to charge him with. Here's a restatement/slight rewording by me of what one MOC fb member wrote. There was no gun charge filed. 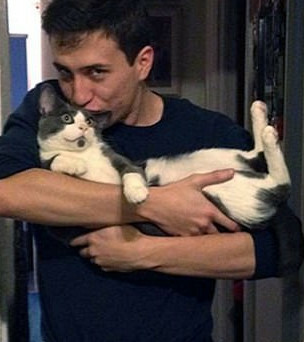 The police arrested him and he spent four days in jail before his court appearance. By this time the lawyers and the judge realized that he had not yet broken any laws. So the judge gave him a small fine and time served for resisting arrest, or actually “hindering or obstructing an officer” as BC calls it. It’s a catch-all charge they use. They couldn’t readily admit that he was arrested and jailed without just cause. Here’s what all the parties have said about this on the record. Yeah, I bet. A young black guy traveling with a rifle being approached by the BC Gang Unit? Why were you trying to arrest him anyway, Sgt. Case? No one is asking the Battle Creek police that! Elijah Woody tells MLive Detroit he was talking with friends along Hague between Brush and Beubian in Detroit's North End neighborhood. "I was there about five to 10 minutes and the police came ... I got out my phone and started recording," he says. "Police came up to me, took the gun off my hips, handcuffed me and took me to the back of the car." He claims one of the officers -- there were three in an unmarked car, what Elijah Woody says are called "jump-out boys" on the streets -- took his phone and threw it, which caused it to stop recording. "Although the jacket was tucked in behind the weapon, it was an over-sized jacket that flopped over the top of the weapon as well," Sgt. Woody said. The gun "has to be visibly noticeable to anybody who you come in contact with during the normal course of the day. "If I come up to you and look at your waistband, I should be able to know that you're carrying a weapon." Sgt. Woody is not related to Elijah Woody. Let it be noted that Elijah Woody does not have any criminal convictions. The allegation that the police stopped Elijah from recording the incident is troubling. The case is ongoing and has not been resolved. In Texas, the Black and left wing Huey P. Newton Gun Club routinely marches with openly carried long guns. They have not been molested. 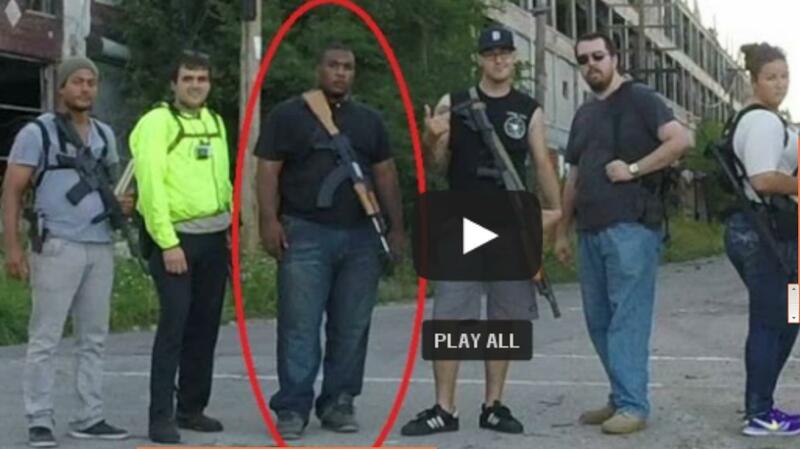 There have been many examples of non-blacks illegally arrested for the open carry of arms. Hell's Saints held an open carry march to protest Elijah Woody's arrest. 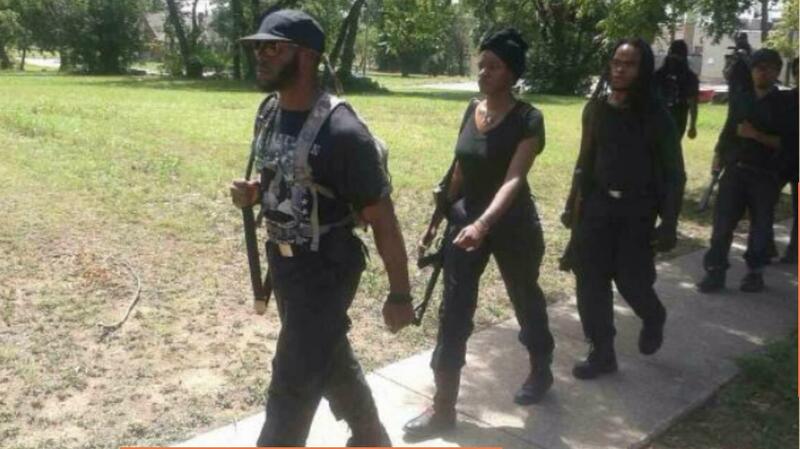 They are becoming nationally known for their open carry urban marches. Their group shows the typical racial and gender inclusiveness of the open carry movement. Here is a link to the Video of the open carry protest. Police are being educated that open carry is not a crime. With ubiquitous recording devices, and court cases stating that recording police in the performance of their public duties is a first amendment right, I predict that more black men will open carry, and police will be forced by law to recognize their rights. Ironically, if Elijah had been carrying his rifle, the police would not be able to claim that his weapon was partly hidden. I will be watching for updates on the Elijah Woody case. Coming off more like violent head case Gyp Rosetti from “Boardwalk Empire” than a representative and servant of the people, new felon and prohibited person Rep. Michael Grimm committed yet another criminal act by threatening to throw NY1 Washington bureau reporter Michael Scotto off the Capitol building balcony last January for asking him a question about corruption allegations. The congressman pleaded guilty three days ago to felony tax evasion. “Let me be clear to you,” Grimm told the much smaller journalist live on the air (see embedded video, above). “If you ever do that to me again, I’ll throw you off this [expletive deleted] balcony. As is so often the case by wrong-doers caught dead to rights in the act, Grimm apologized to reporter Scotto after realizing that everyone had witnessed his angry meltdown and there would be no finessing his way out of being exposed showing just what stuff he’s made of. So instead, he resorted to the time-honored political practice of weasel words. St. Lucia is a Caribbean island nation. English is the predominant language. Upon arrival deputies learned the property owner had multiple thefts in the past, so he installed surveillance cameras at various locations on his property. Upon detecting activity on one of these cameras, the property owner discovered two male subjects walking on the property and it was believed a robbery was forthcoming. One of the subjects, identified as Brendon Busskohl, 25 years old, was contacted by the property owner and held at gun point until HCSO arrival. The second subject fled from the property owner and deputies were unable to locate him. 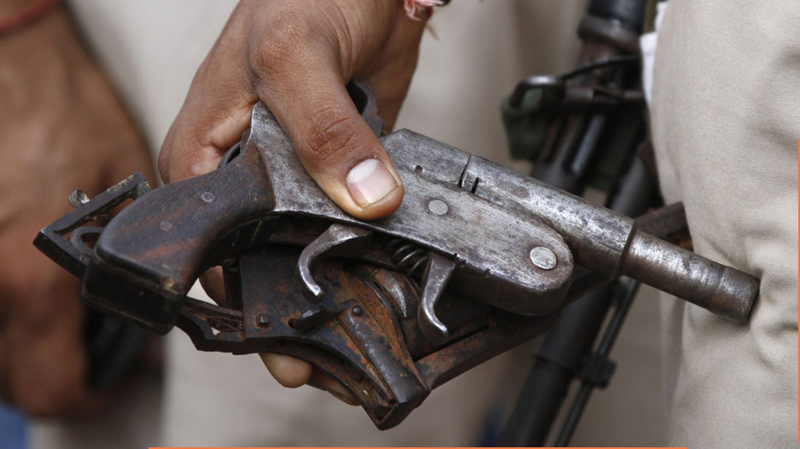 The report on Indian illegal arms manufacture shows the limits of "gun control". Consider how much easier it is for Americans, with electricity and common, cheap power tools, to make more sophisticated arms. Yet these simple single shot pistols and revolvers are sufficient for murder. Yet, Farrukhabad, about a 9-hour drive from New Delhi and the headquarters of an Uttar Pradesh district, has the distinction, albeit dubious, of being a key north Indian hub of a flourishing illegal firearms industry. Until some years ago, the district centred on the town had the country’s highest murder rate. It is famous for so-called country-made guns, crude but deadly and requiring no licence to possess, used to carry out at least five high-profile crimes, including the murder of television journalist Soumya Vishwanathan, in New Delhi in 2008. Gun-making is a kind of cottage industry in towns across Uttar Pradesh, Bihar and Madhya Pradesh, says former Delhi police commissioner Ved Marwah. “The law and order situation in these parts being what it is, crime has become a very profitable activity. And the easiest way of getting arms ...is to make an illicit arm. It is cheap and effective in committing a crime,” he says. According to assistant police commissioner Bhagat, in an effort to combat the problem, Delhi Police regularly interacts with counterparts in states including Uttar Pradesh, Rajasthan, Haryana, Punjab and Uttarakhand. But the influx of small illegal arms into the Capital continues. Experts say professional criminals favour crude country-made weapons because they can be easily destroyed after the crime. After an armed man pointed a gun at the head of 60-year-old convenience store clerk Ibrahim Rahmoun, he and his boss grabbed a gun and took action leading to an exchange of gunfire outside a Northwest Side 7-Eleven. RHOME – A man who repeatedly rang a doorbell and knocked on a front door was fatally shot Friday morning by the homeowner after the two fought in a yard, authorities said Friday. Before he was shot to death, Spencer Crandall, 31, repeatedly demanded to be let in the house in the 12000 block of Carpenter Lane, said Wise County Sheriff David Walker on Friday. With all the attacks on the Koch brothers during the midterm election, please note: "Big Democrat donors outspend GOP by 3-to-1"
At least, that is, among those groups that must disclose what they raise and spend. Among the top 100 individual donors to political groups, more than half gave primarily to Democrats or their allies. Among groups that funneled more than $100,000 to allies, the top of the list tilted overwhelmingly toward Democrats — a group favoring the GOP doesn't appear on the list until No. 14. Fort Worth police arrested and charged a man Wednesday with the execution-style slaying of a gun supply store clerk. Gerry Handsborough Jr., 22, of Fort Worth was arrested Wednesday at his attorney’s office on a charge of murder in the death of Eric Peterson. Bail has not yet been set. ANAHEIM HILLS, Calif. (KABC) -- A burglar wearing a ski mask who broke into a home in Anaheim Hills early Christmas morning was shot by the homeowner. “Given that bullets and shot can become spent only if they are first contained in a cartridge or shell and then fired from a weapon,” the environmental groups “have identified no way in which EPA could regulate spent bullets and shot without also regulating cartridges and shells,” precisely what the law prohibits, said the decision by appeals judge David Tatel, a nominee of President Clinton. The other two judges on the case were Patricia Millett and Cornelia Pillard, both nominees of President Obama. 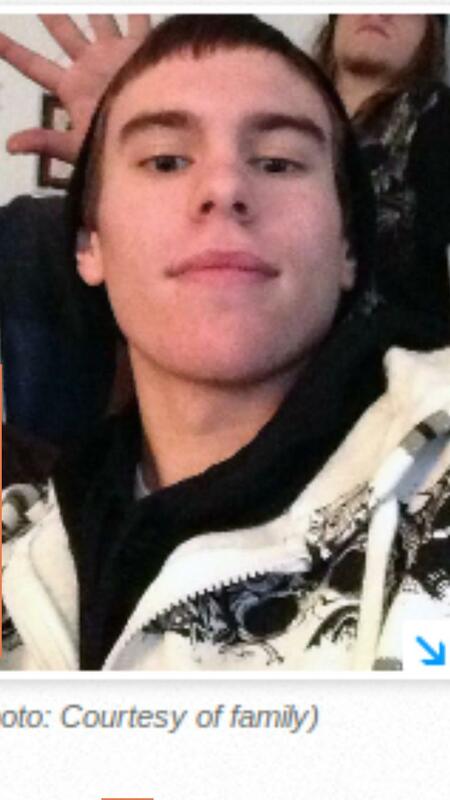 Thomas, above, died after being struck with one punch. Before the fight, the two shook hands and smoked a cigarette together, witnesses told sheriff's deputies. Thomas, who apparently hit a car that the suspect was sitting in, agreed to let Galen hit him. But Galen hit Thomas so hard that he fell backward on the pavement and never regained consciousness, sheriff's spokeswoman Shari Ireton said. After friends could not revive Thomas, one drove him to Providence Regional Medical Center in Everett, Wash., where he later died. This is a graphic example that a punch to the head is potential deadly force. It is important to understand this; once you know this to be true, you can testify that you did, and a prosecutor and jury can be informed that you had this knowledge. The law about justification of using deadly force is based, in part, on the "reasonable person" doctrine. A jury would be instructed to determine if someone claiming self defense acted as a "reasonable person" might, knowing what they knew, in the situation that they found themselves. In this case, there was no justification; the victim agreed to be punched. But that is not true in most cases. For a list of hundreds of people killed with one punch, we owe a debt of gratitude to Steve Kokette of Madison, Wisconsin, who has compiled such a list at onepunchhomicide.com. One life ended, one likely ruined for the future; this is a tragic case. HOUSTON – One man is dead after a suspect was shot and killed during an attempted home invasion late Wednesday in southwest Houston, police said. A 22-year-old man, who police say is a documented gang member and convicted felon, was taken to Advocate Christ Medical Center in serious condition after being shot in his torso. A SENATE clerk yesterday urged senators to carefully weigh the consequences of passing Senate Bill 18-69 or the Weapons Omnibus Act of 2014 which will impose restrictions on handguns in the CNMI. Alicia Deleon Guerrero’s voice cracked as she explained to the senators that she is neither supporting nor opposing the bill, but is merely asking the senators to consider the possible impact of the bill on the community. “It is my contention that this legislation be presented to the public and be scrutinized with a fine tooth comb. A public hearing must be conducted to hear the pros and cons of this legislation because it…greatly affects the livelihood of the community,” she said during the public-comment portion of the Senate session yesterday. Fortunately, Judicial Watch has posted the documents for public review. The Justice Department is still withholding thousands of documents. The thousands of documents provided are often heavily redacted. A review of hundreds of pages so far has revealed no obvious, legitimate basis under which President Obama should have invoked executive privilege, as he did, to withhold them public from congressional subpoena and other public reviews. Why would anyone want the bad guy to shoot him first? Fortunately, the gun culture is becoming educated in the matter. People now realize that open carry promotes tactical deterrence. There have been two known instances where open carriers have been targeted, but they are very rare. The other side of the coin also occurs. As in the above case, concealed carriers are targeted because their attacker(s) do *not* know that they are armed, and the attacker(s) sometimes win. Both cases are rare, though my reading makes me suspect that concealed carriers are targeted more often. True, they have surprise on their side, but it does not help much if their attacker(s) successfully carry out their own surprise attack first, as happened in this case. As always, situational awareness is more important than merely being armed, but a gun and situational awareness works in cases where situational awareness alone does not. Animal predators chose prey that they can overcome with little danger to themselves. If they fail in the victim selection process, they get selected out of the gene pool. Because predators rely on multiple victims, their cumulative risk is much higher than that of each individual victim. This is the same reason that most criminal predators chose unarmed victims; prison surveys confirm this fact. Certainly, surprise can be on the side of a concealed carrier. Whether they will be able to utilize that surprise is a separate issue. What the open carrier loses in surprise, he gains in tactical deterrence. Most criminals do not want to attack an armed victim. It is one of the reasons that attacks on police are relatively rare. While concealed carriers lose tactical deterrence, society gains strategic deterrence. Robbers have more uncertainty about who may be armed. Both methods of carry have advantages and disadvantages. Law abiding people should be able to chose which works for them in whatever circumstances they find themselves. I use both methods frequently. I am blessed by living in the state of Arizona, so I have both legally available to me in most situations. With a little luck, the great state of Texas will join Arizona in 2015 by restoring the freedom to openly carry arms that was restricted during reconstruction. If Texas restores legal open carry, the number of states that ban open carry will be reduced from six to five. The robber is dead. but I understand what the author means when he says that no one inside the home was hurt. Police identified 22-year-old Nico Carlisle as the suspect. The family member says Carlisle put a gun to head of the homeowners girlfriend, and that's when the homeowner opened fire. "I would have done the same damn thing," said neighbor Jerome Foster. No charges have been filed against the homeowner, and there were no injuries to anyone inside the home. A homeowner and intruder exchanged gun shots Wednesday at a rural residence just south of Amboy. The homeowner came home and noticed things were strewn about, said Clark County sheriff's Sgt. Tony Barnes. The homeowner and burglar confronted each other and fired shots at each other. Nobody was hit, Barnes said. The victim attempted to run but fell to the ground. The teenager followed and pointed his gun at the victim at point blank range, but the victim grabbed it and pointed it away from his head as another shot fired. The victim disarmed the suspect and ran. The gun was recovered. It had been reported as stolen in Waterford. Mike Bloomberg thought he was on a roll. In the wake of Sandy Hook, his money managed to buy unconstitutional legislation in Connecticut, Colorado, Maryland and New York. In the election just past, his money staved off defeat for two governors who did his bidding, although as Wellington said about Waterloo, it was "the nearest run thing you ever saw." Most importantly -- and the latest jewel in his anti-firearm crown -- his money and that of Bill Gates, Paul Allen and other like-minded elitists "bought the mob" (in the parlance of the Founders) with the success of I-594 in Washington state. Yes, Bloomberg was on a roll. The so-called "mainstream" gun rights organizations, from the NRA to Alan Gottlieb's Second Amendment Foundation and all the smaller spin-offs in the affected states, had no answer to Bloomberg's millions and refused to put their own rivalries and jealousies aside to find one. This is hardly a surprise, since almost all of these groups have always been more about raising money to "fight gun control" than actually FIGHTING gun control. Each has been more obsessed with their own reputation in the collectivist-dominated press and their obsession to "win friends and influence people" in the middle. So, following their long-established patterns and refusals to think and act outside the boxes they placed themselves in, they lost. They lost in Connecticut, they lost in Maryland, they lost in New York, they lost in Colorado and now they have lost in Washington state. A Monday order in the United States Court of Federal Claims by Judge Francis M. Allegra in the case of Jay Anthony Dobyns v. United States points to a motion by the government that has the judge demanding clarification. Noting it’s not even clear if a notice of appeal relates to a Federal Circuit Court order or to prior Federal Claims Court orders, Judge Allegra ordered the government “on or before January 5, 2015 [to] file [an explanatory] memorandum (not to exceed 30 pages)." That order, per Dobyns on his website, “set the stage for what 2015 will hold.” He also made it clear that much remains unknown. Retired ATF Agent Dobyns gained fame after infiltrating the Hells Angels and writing about his experiences in the New York Times bestseller, “No Angel: My Harrowing Undercover Journey to the Inner-Circle of the Hells Angels.” He has since been the subject of numerous reports focused on retaliation he has been subjected to for coming forward with information exposing official wrongdoing. He was also instrumental in providing background information on management personalities and practices involved in the Operation Fast and Furious “gunwalking” scandal. Dobyns had sued his employer for failure to properly investigate, and for reneging on protection agreements over death threats he received after the bureau withdrew his cover identity following the Hells Angels case. In September, Judge Allegra awarded Dobyns $173,000 and denied government royalty claims against Dobyns for his book, seemingly providing an end to a prolonged six-year ordeal until the government challenged that ruling in the 11th hour.